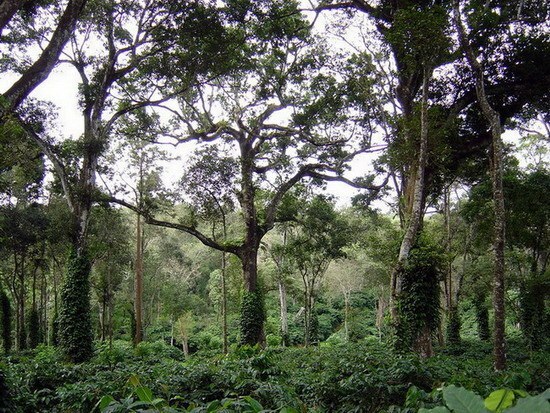 Shade grown ecofriendly coffee plantations house a variety of forest and introduced trees which in turn provide biomass in the form of dead wood, leaf litter, plant and other residues. 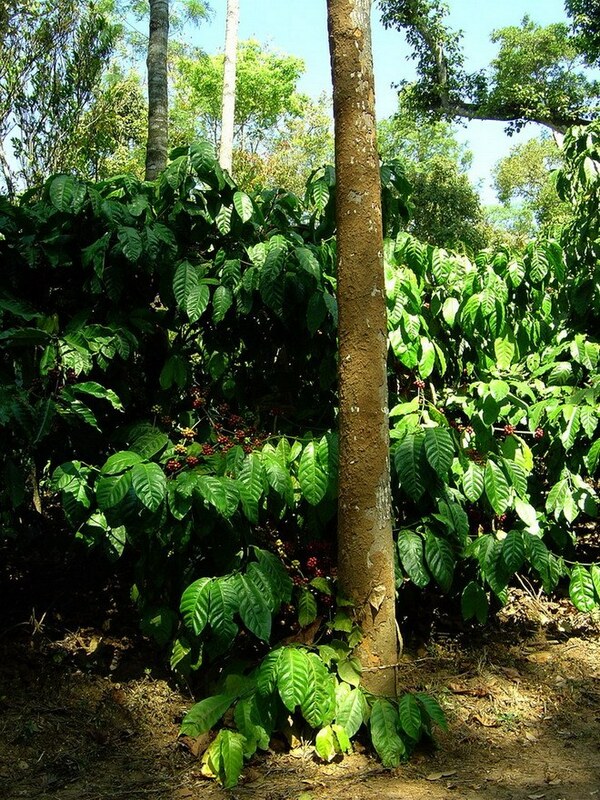 In fact the health of the Coffee forest ecosystem is largely due to the presence of a heterogeneous tree population. 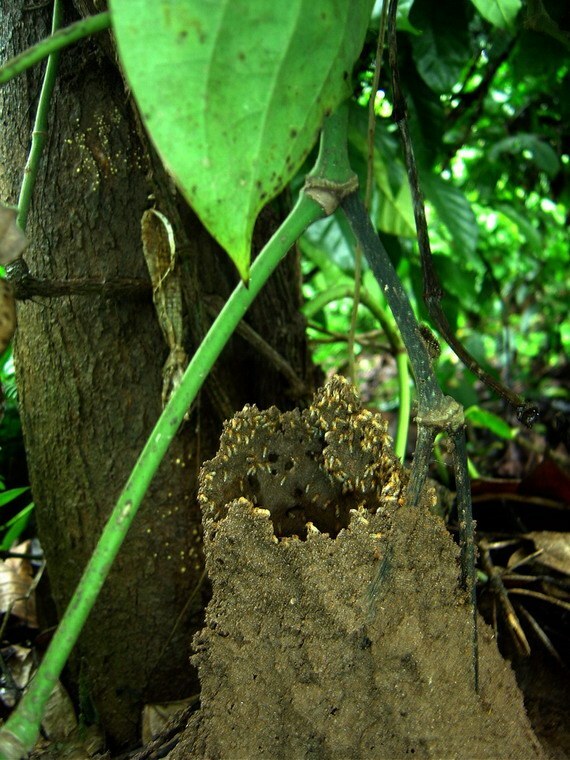 The large amounts of biomass on the floor of the forest acts as a precursor in triggering millions of microbes to perform hundreds of biochemical reactions. 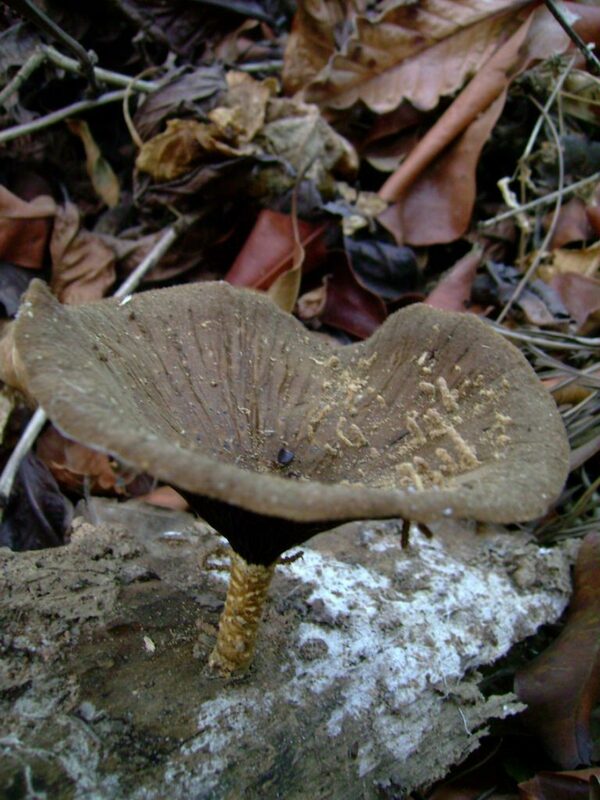 The role of decomposer organisms in converting raw materials into energy rich compounds and in nutrient recycling and their importance in maintaining the flow of energy is of paramount importance in maintaining sustainability and stability inside the coffee ecosystem. Microorganisms are vital to the breakdown of dead and discarded organic material. Logs of Wood that has accumulated on the floor of the coffee forest disintegrate and degrade into energy rich compounds useful for other microorganisms, there by continuously providing for the maintenance of the energy balance. 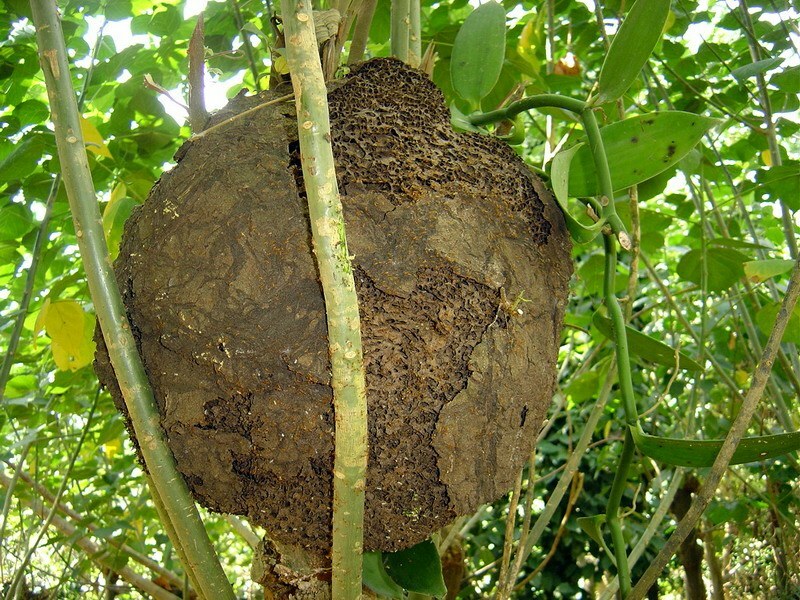 The process of bio-decomposition is quite complex biologically, biochemically and chemically. 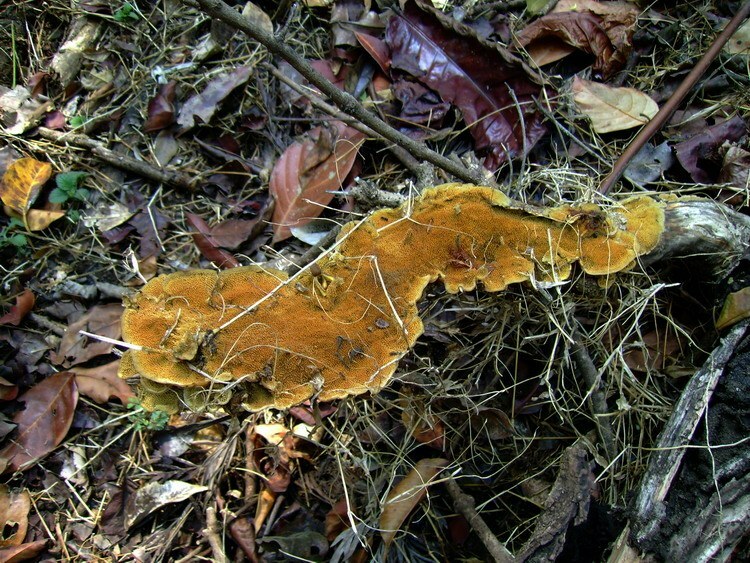 The bulk of the plant residues are made up of lignocelluloses. 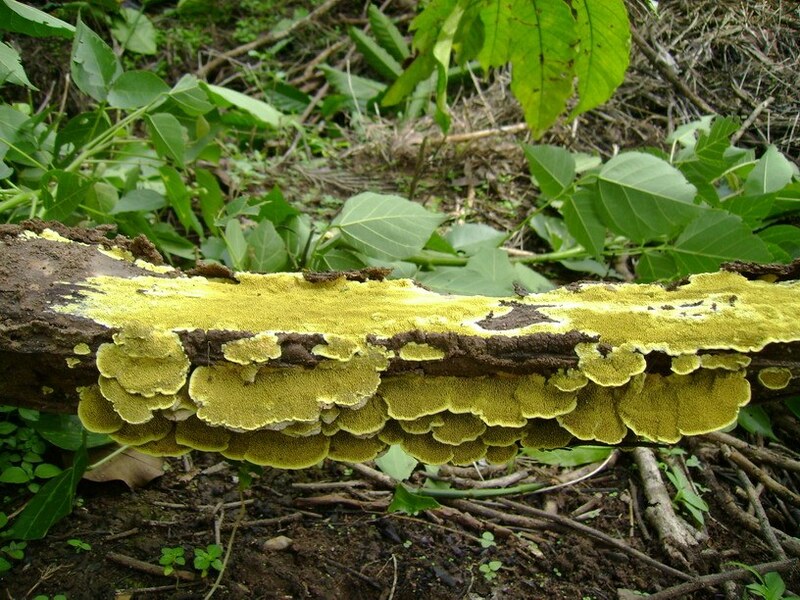 Lignin is not easily degradable whereas cellulose is attacked by a host of microorganisms. The breakdown and mineralization of cellulose is not the prerogative of any narrow group of microorganisms, but many varied organisms participate. 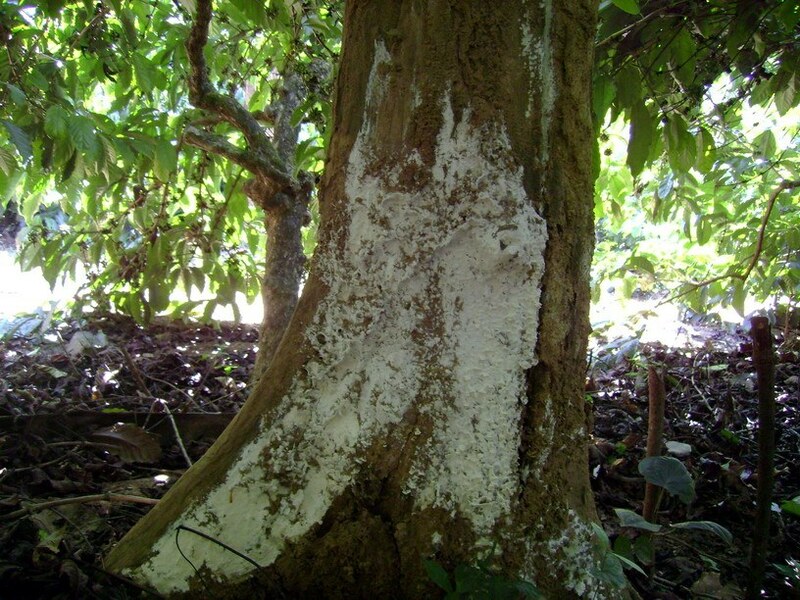 It is important to note that only a few specific fungi, actinomycetes and bacteria are alone capable of decomposing cellulose. 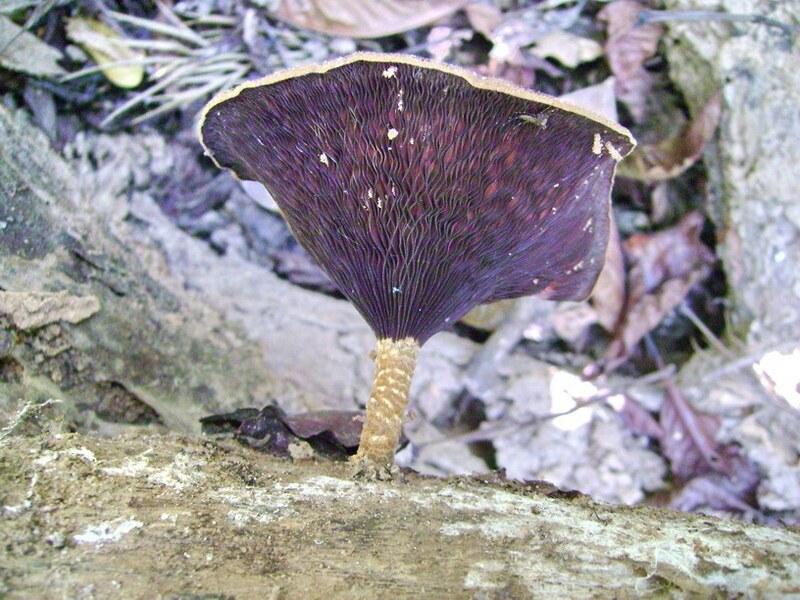 During the process of decomposition the decaying material changes its color to dark brown. 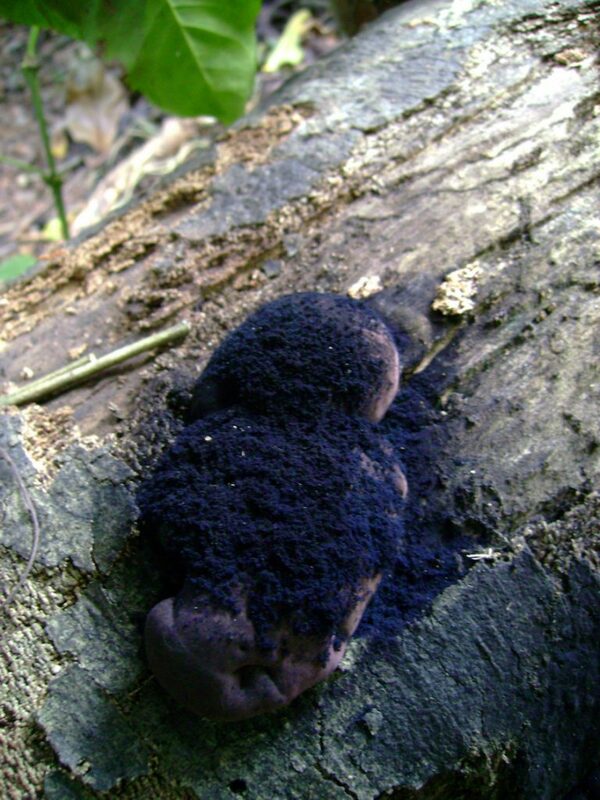 This in turn is due to the production of dark colored pigments produced by cellulose decomposing microorganisms resulting in the black color of humus. It is a well understood fact that wood is the most abundant organic material on earth. Wood is manufactured by the photosynthetic process and the same is decomposed by the respiratory processes of microorganisms. The cycle is ongoing and continuous by the biosynthetic and biodecompositional forces occurring in nature. 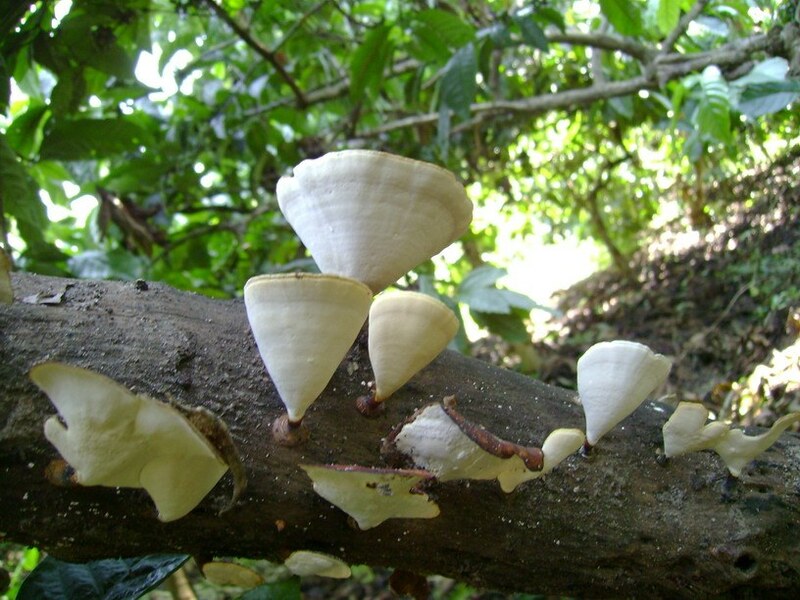 This article highlights the fundamental principles of coffee forests in accommodating a range of microorganisms, namely the cellulose decomposers and the many interactions between the soil and other associative components of the forest range leading to ecosystem stability and soil resilience. We hope to oversimplify the processes for the benefit of the farming community. Cellulose can undergo chemical or enzymatic hydrolysis to form soluble sugars. These sugars in turn can be used by microbes in the manufacture of biofuels, single cell protein, methane or other products of fermentation. In fact the technology for refined cellulose degradation is highly advanced for recycling paper, cardboard, coir, sawdust etc. Developing and underdeveloped countries, especially tropical countries can beneficially employ these low cost technologies for converting various low value wood substrates into protein rich food for human consumption. Cellulose is the earth’s most abundant renewable raw material, with about 10-15 tons per person produced annually by plants. Cellulose is a carbohydrate composed of glucose units bound together in a long, linear chain by beta linkages at carbon atoms 1 and 4 of the sugar molecule. The cellulose content of plants, herbs, shrubs, grasses and trees is never fixed and the concentration changes with age and type of the plant. Cellulose is quite prominent in woody substances and in straw, stubble and leaves. As the plant matures the concentration of cellulose increases. Research reports indicate that in young grasses and legumes, cellulose may account for as little as 15 per cent of the dry weight but the figure can cross 60 per cent in woody materials. In simple terms the concentration can range from 15 to 50 per cent. 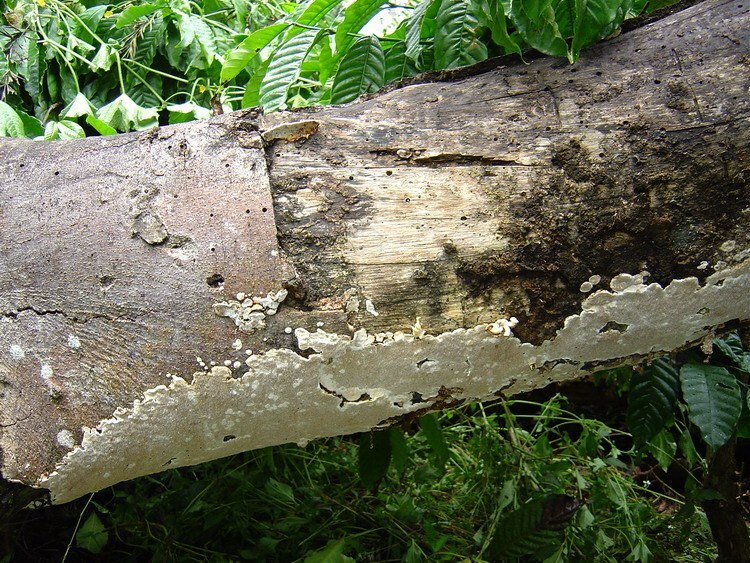 WHY IS CELLULOSE DECOMPOSITION IMPORTANT? Decomposition of wood is a very important part of the carbon cycle of nature. 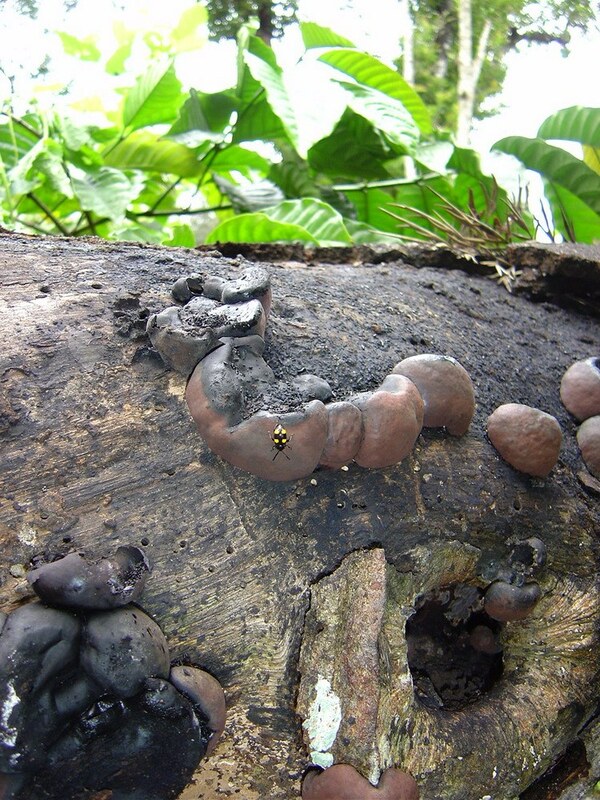 Celluloytic microorganisms are commonly observed on the floor of the coffee forest. The biomass accumulated due to leaf shedding from heterogeneous tree population’s permits rapid transformation of the raw material due to the action of different groups of microorganisms. 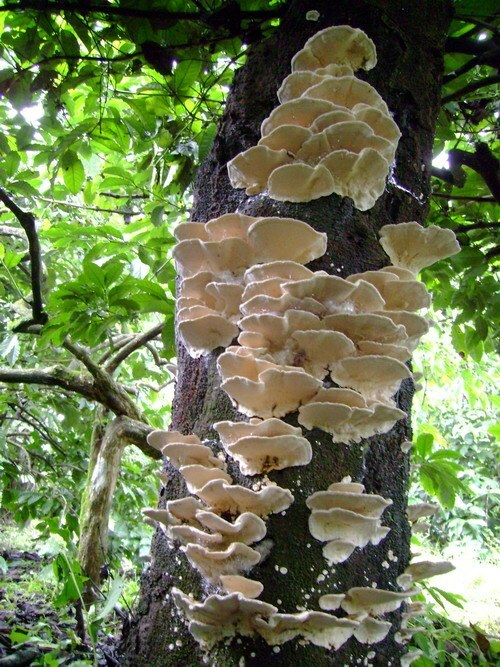 The main cellulose utilizing species are the aerobic and anaerobic hemophilic bacteria, filamentous fungi, basidiomycetes, thermophilic bacteria, and actinomycetes. The amount, type and availability of organic matter determine the size and population of microorganisms in the soil system. The nature of the flora will vary with the chemical composition of the substrate that needs to be acted upon. Depending on the available raw material, certain microbial groups predominate for a few days and certain others maintain a high population for extended periods of time. Each individual organism has a complex of enzymes that permits it to oxidize a certain array of chemical compounds. From the farmers view point it is important to understand that cellulolytic microorganisms are present in abundance on the floor of the coffee forest. 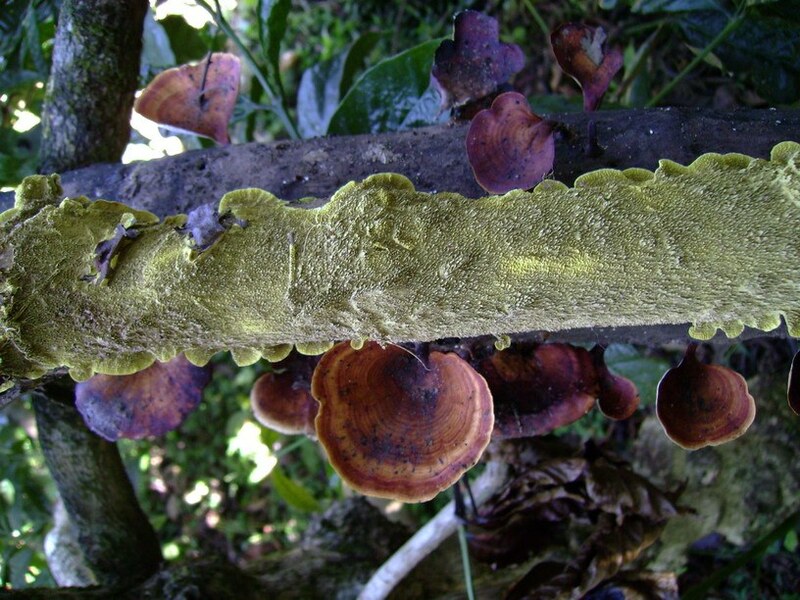 It is a wild guess that fungi are the main agents of cellulose degradation, when compared to the bacteria and actinomycete group. 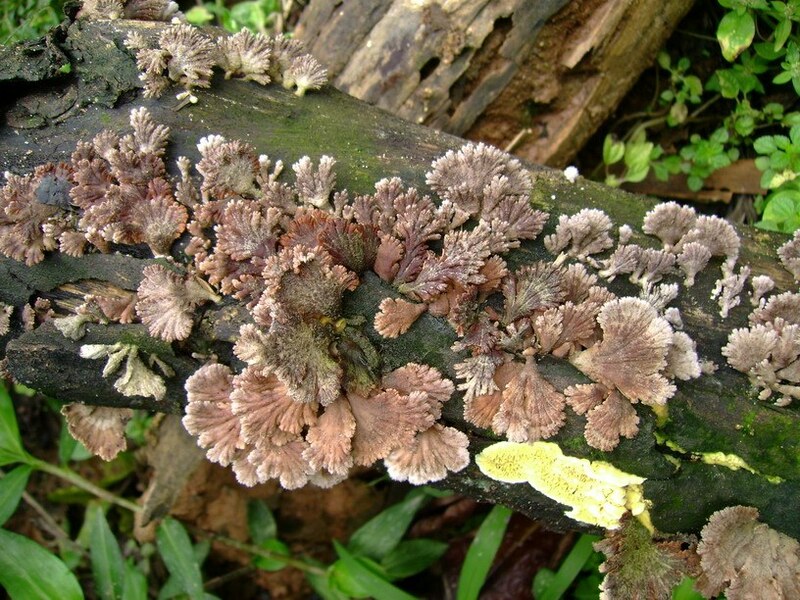 During the monsoons, the basidiomycetes are especially prominent in acting on dead wood, twigs and branches that has accumulated on the floor of the forest. 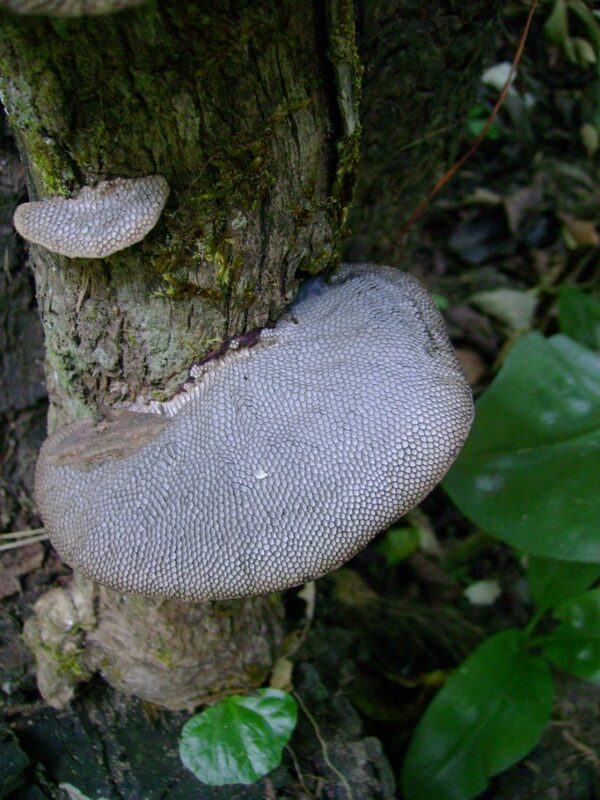 Fungi, actinomycetes and aerobic or oxygen loving bacteria generally convert cellulose to two major products, namely carbondioxide and cell substance. As the first step, the microorganisms responsible for cellulose decomposition bring about an enzymatic hydrolysis of the complex polymer. The enzyme system which involves a group of different enzymes, collectively known as cellulase. Cellulase catalyzes the conversion of insoluble cellulose into simple water soluble mono or disaccharides. The aerobic micro flora metabolizes the simple sugars to carbon dioxide and the anaerobes convert the same into organic acids and alcohols. As microorganisms go about their job in breaking down cellulose, they also convert elements such as nitrogen, phosphorus and micronutrients into forms that can be utilized by plants. thereby supplying the coffee ecosystem with a continuous source of nutrients. The microbial succession also occurs because each establishment of a new species modifies the environment. Decomposing leaves and other organic matter produces rich top soil. Determination of efficient strains of microbes for specific agro climatic locations. Culturing the same on simple available substrates. Determination of optimum environment for each species. 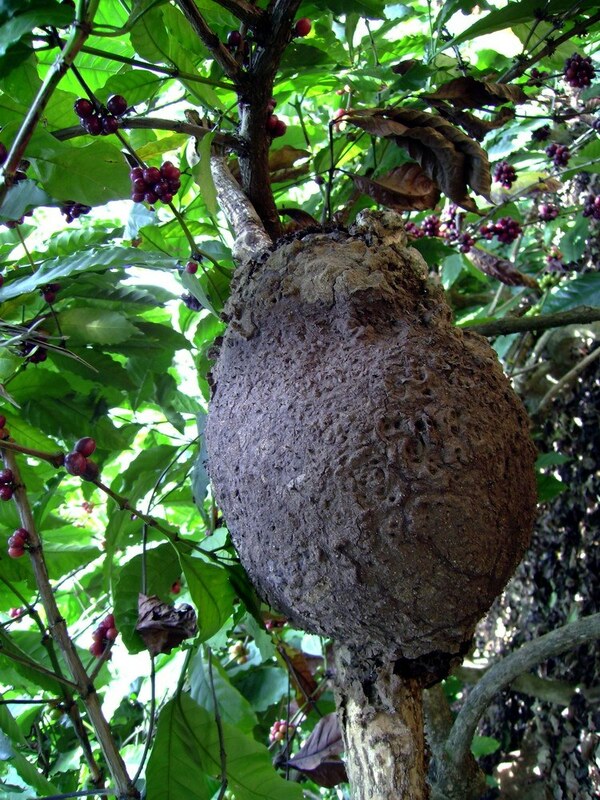 Microorganisms have relevance to shade grown ecofriendly coffee in many ways. The vast amounts of biomass on the floor of the coffee forest can be recycled by microbes not only to conserve energy but also to minimize pollution. Microorganisms are so small, that they have a very high ratio of surface area to volume. This enables them to break complex substrates into simpler molecules. Some microbes absorb their nutrients through their cell membranes, resulting in a high metabolic rate. In addition, most microorganisms exhibit a rapid rate of multiplication in a short period of time resulting in significant changes in the coffee environment. The strategy the farming community needs to adopt is to capitalize on the work and abundance of cellulose decomposers in breaking down large organic molecules into simpler smaller molecules that can be used by the biotic community. This in turn will lead to efficient use of renewable resources inside the coffee forests through microbiological processes rather than non renewable conventional sources. This will open a new path of progressive thinking, where farmers will depend less on synthetic fertilizers and chemicals. Anonymous. 1979. Microbial Processes. Promising Technologies for Developing Countries. National Academy of Sciences. Washington D.C.